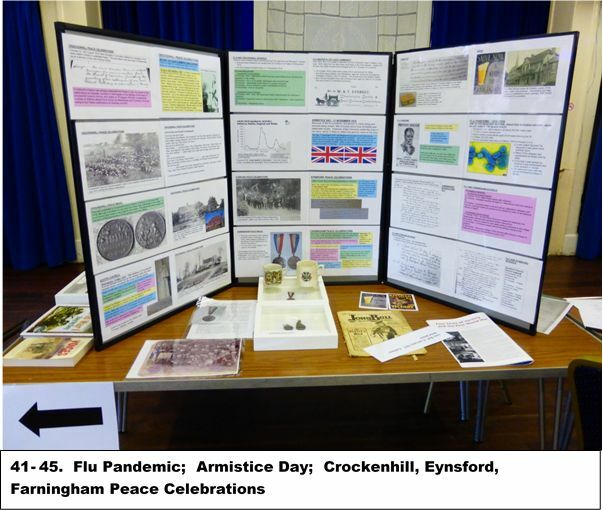 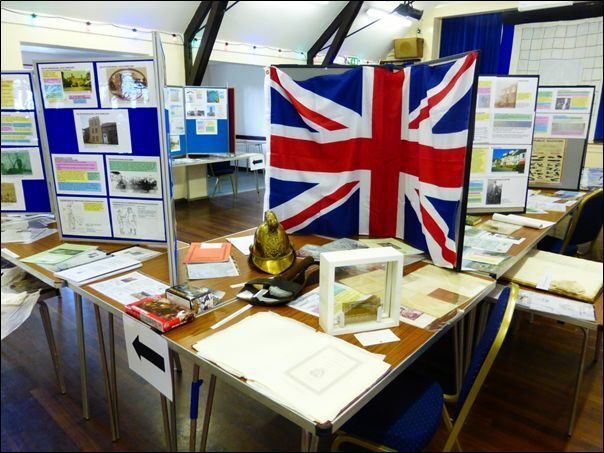 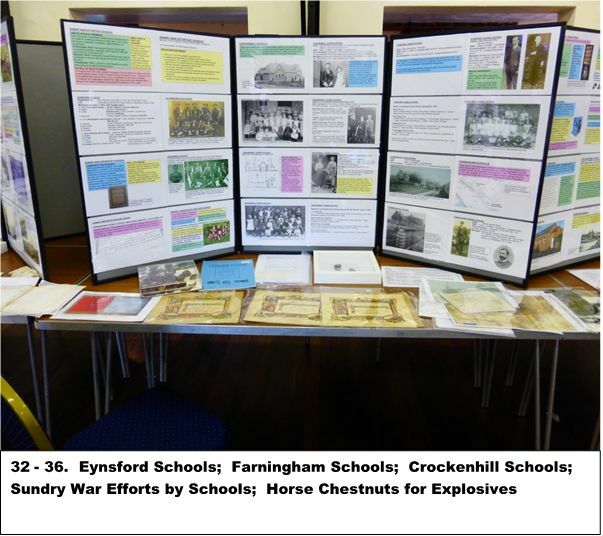 In August 2014 FELHS staged a major Exhibition to commemorate the outbreak of the First World War. 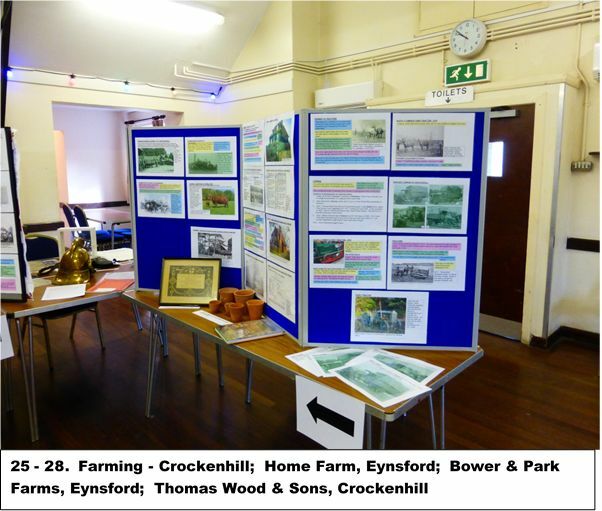 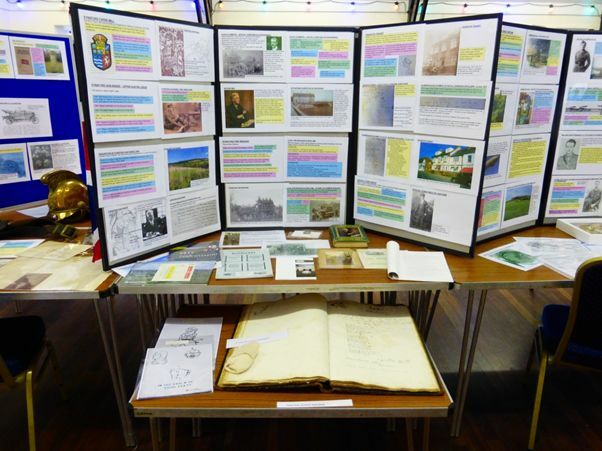 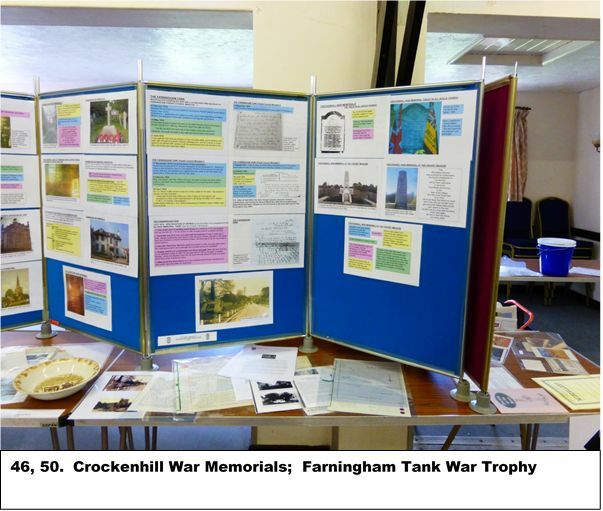 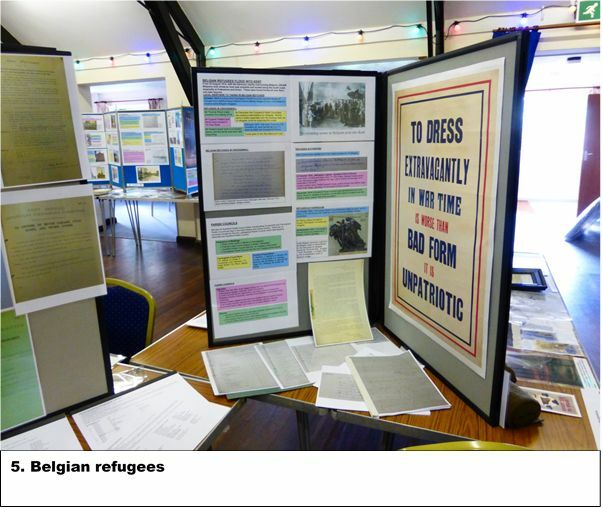 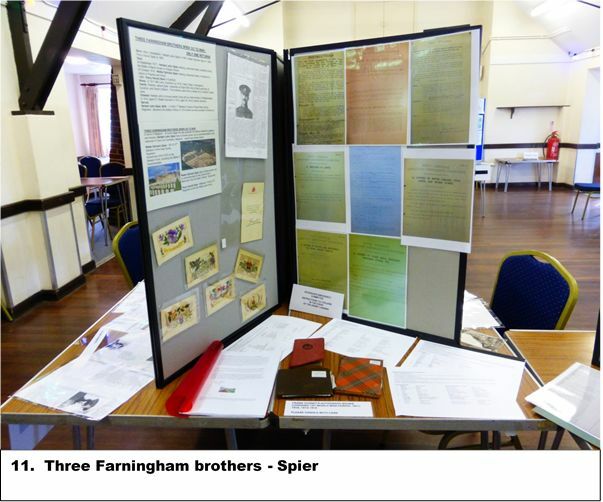 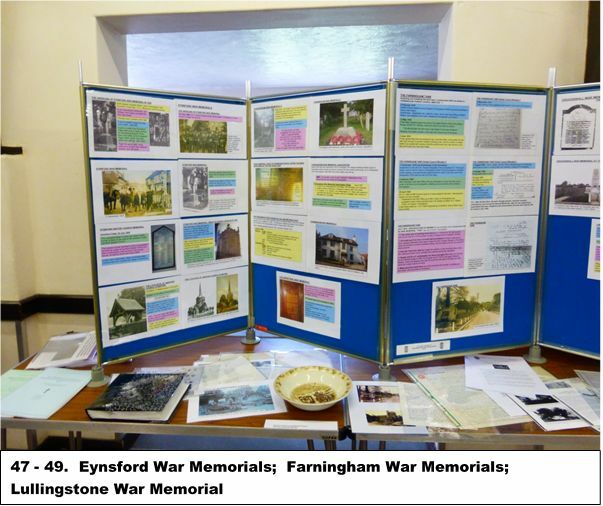 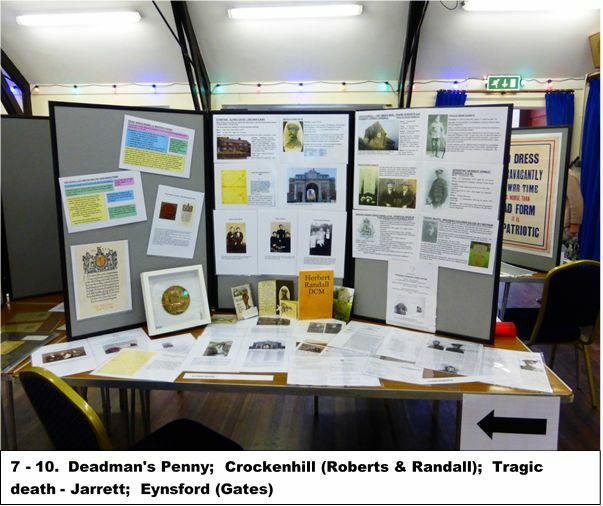 The Exhibition, called 'Our Villages in the Great War', aimed to show how life at home was affected by the war, and the part played in the war effort by the local communities of Crockenhill, Eynsford, Farningham along with Lullingstone and Maplescombe. 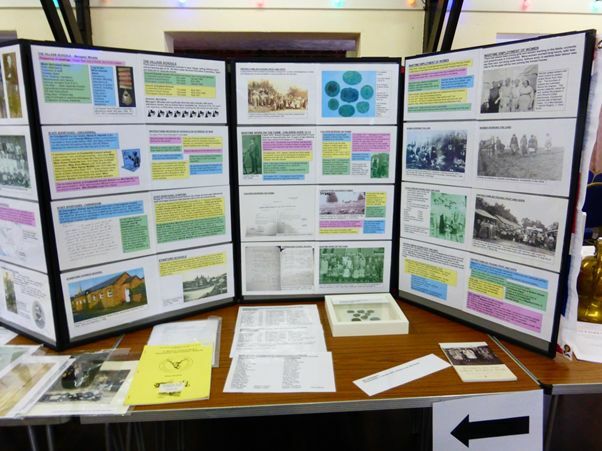 The Exhibition was mounted in each of the villages on consecutive Saturdays, and was attended by at least 700 people. 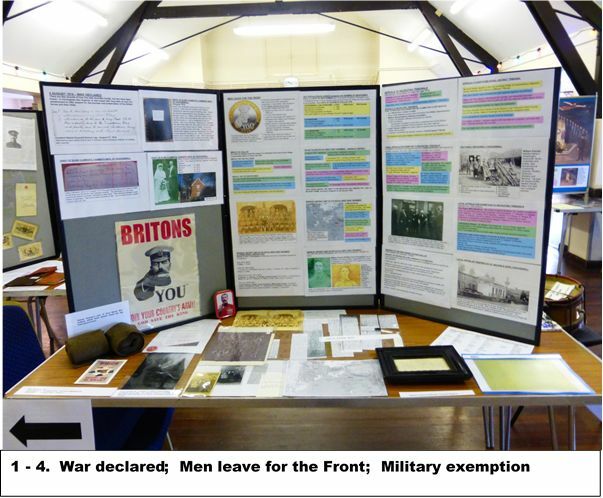 The display sheets summarised the research undertaken for the Exhibition by Dr Susan Pittman, and a publication as a follow-up was considered. 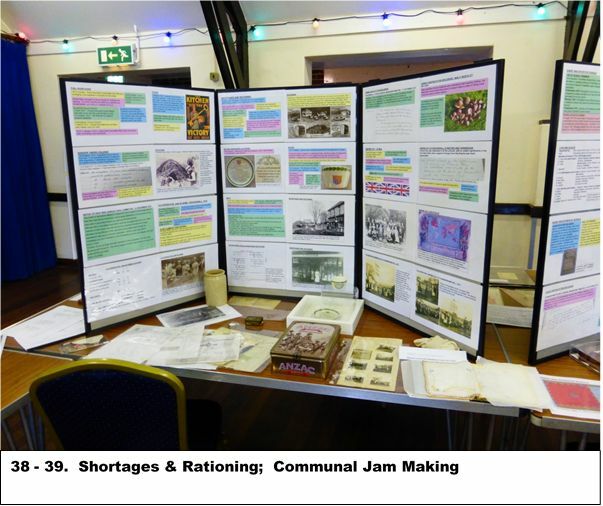 However, such a project would have been time-consuming, and the cost of reproducing the various photographs prohibitive. 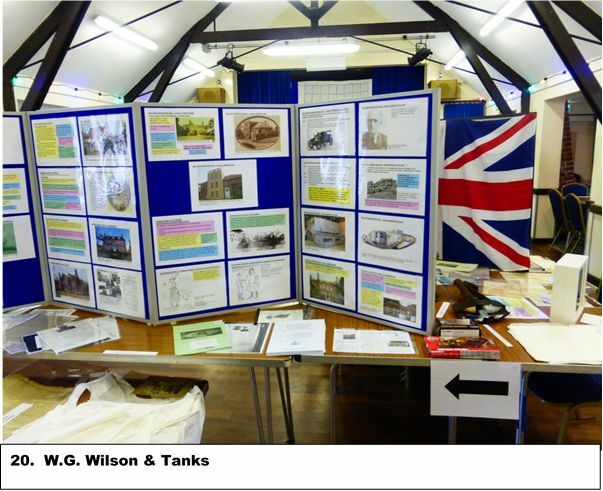 It was therefore decided to put the display sheets onto the website, so that they could be consulted at leisure. 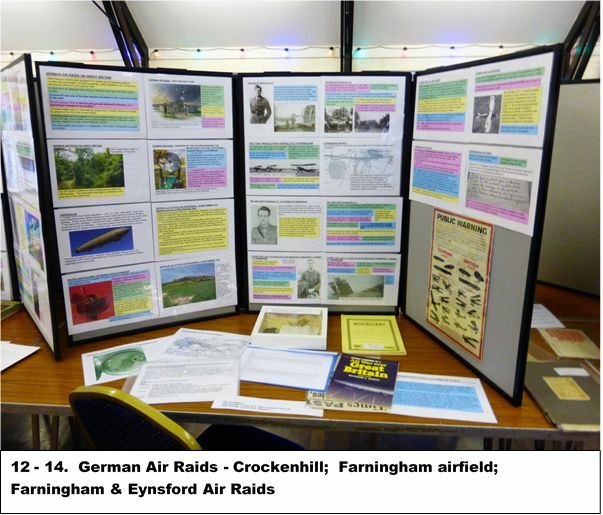 What is lacking is, of course, the various artefacts, most from the FELHS collection, which were arranged alongside the display boards. 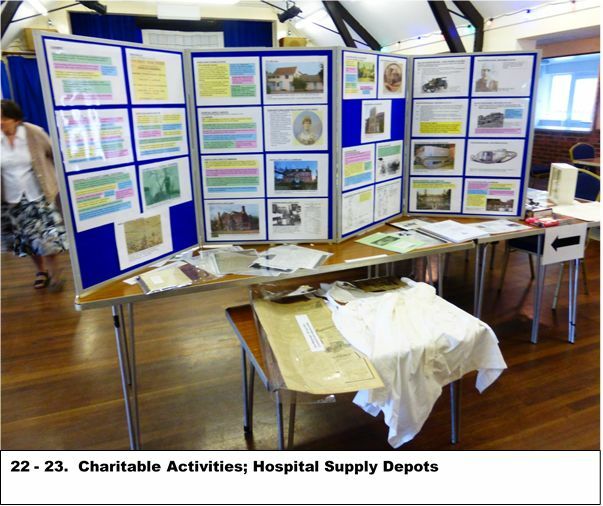 However, photographs of the table-top displays have been added to give a general idea of these.